Please share your Christmas gift ideas! I need to come up with something for my sister-in-law. I've made her totes, quilts (both regular and rag), and small storage containers. She is alone and doesn't decorate for the holidays. So a tree skirt or something holiday related is out. Her kitchen table is oval. I thought about something for the center of it. She does have a coffee table. Hmmm......maybe a table runner. Ok, so her kitchen table is close to the coffee table. If I did something like those choices do you think they should match? The bowl cozies are something she wants to learn to make this summer so those are out too. I'd still love to hear any suggestions and links that you have. You mentioned she doesn't decorate with a tree--my mom didn't either and she loved the mini tree with glued buttons on the tips as decoration. Or what about that neat wall hanging of a Christmas tree ( think there is a 4' & a 6' size) that you then pin Christmas decorations onto? 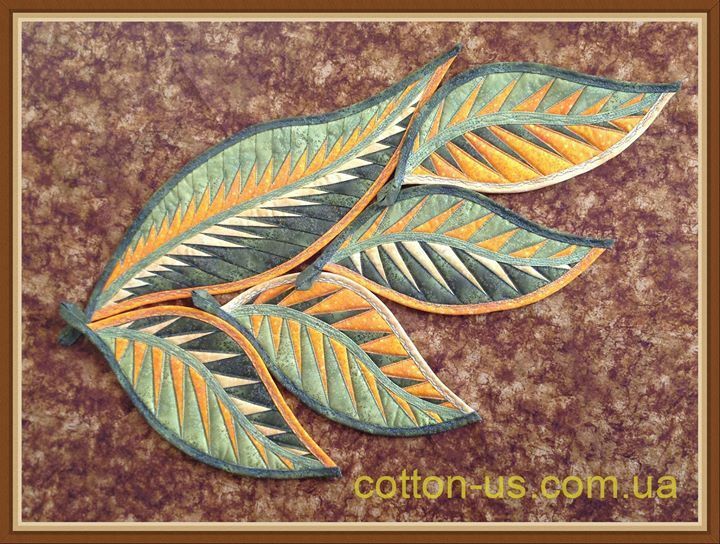 I no longer do a tree, but plan one day to have a quilted tree wall hanging. I also have a Christmas throw quilt in the works. I do not put runners on coffee tables, but I have cats and they would just use them as a bed. Does she use placemats? I love placemats, even simple QAYG ones made with jelly roll strips. If she watches TV an arm caddy for the remote for her chair or sofa is handy. Matching table runners that are reversible would cover two seasons or holidays. Boxy bags are great. Mug rugs, or wine glass cozies. Miniature monthly quilts to enjoy and swap out? Even though she wants to learn to make the bowl cozies, how about putting together kits for her to use to learn how to make them? If she's wanting to get into sewing, does she have a pin cushion? An organizer or tool kit? Apron, cute pot holders, coasters, place mats, a small wall hanging? How about dryer balls? I made some for Christmas gifts a couple of years back & everyone loved them. I bought some glittery tubes from the Dollar Tree & 3 balls fit in each tube perfectly. They do save drying time for your clothes. Here's the site I used for making them. Last Christmas, I purchased two sets of 12 kitchen towels on Amazon that had a variety of colors. I decorated them in a variety of ways using scraps and leftovers from other projects. For some, I did embroidery or applique, others I stitched down a band of fabric or ribbon across the width, and on some I attached lace. I matched them up in pairs to give as gifts. Since my only expense was the towels themselves, I had a dozen gifts for under $40, and they were a hit with everyone that got a pair. A bathmat? I take an old towel, top with some batting, then add a little quilt top. Quilt the whole thing and bind. Sometimes I make strips of old blue jeans and QAYG around an orphan quilt block. Also, what about pot holders, mug rug, candle mat, door hanging (a Christmas stocking perhaps? ), cosmetic bag? those Stitch and Fold fabric wreaths are pretty neat. Can be used as a centerpiece, hung on the wall, and can be made with holiday fabric or any themed fabric that would reflect her interests. A google search will yield lots of ideas and a source for the pattern. I am in the process of making one with a song bird themed fabric to hang on my front porch for spring....if it ever gets here! I'm going to look at your suggestions! Do you have photos of your towels? She is quite the cook and baker this might be a good idea. I made one for her already. It was just general fabrics. This time maybe I'll look at seasonal. That might be something she would use. I'm not sure what you mean by clothesline basket. Do you have any photos? No suggestions, but it sounds like you have given her a lot of handmade gifts already. Maybe a gift certificate to her favorite place to shop? Oh I love the table runner that is curved with pointed ends and sharp leaf like pieces in the quilt runner. can't think of the name of it right now. it would look nice on an oval table. I'm making casserole carriers for my husbands nieces. Great for pot luck dinners and lunches plus family gatherings. will make both the 9x9 and the 9x13 sizes. I like the curved table runner idea. That's different, especially for my sister-in-law. Oh, the casserole carriers....I hadn't thought of that. Hmmm, I wonder. I'll look into those too. Christmas is always a big deal in our house. When my youngest went far away to do her residency, she would not be able to come home for the holidays and she worked very long shifts at the hospital so she had no desire to decorate. I made her three little fabric trees (in her favorite shows fabrics- Dr. Who, Star Wars and Friday the 13th!) and a small flat centerpiece for her to sit her tablescape on. I also sent a tiny plastic reindeer that had been a favorite. Included was a small framed pic of all of us at Christmas. She loved it because it was simple to set-up, simple to 'take down' and to store and yet, it helped make the apt. feel festive. Many folks don't decorate because of the amount of work it usually involves and the storage of things later. If you give her a couple little things in a correct size box to use later, you may be surprised a how happy she will be. How about a set of tote bags for groceries? https://www.keepsakequilting.com/fal...runner-pattern this is not quite the one but nice. Last edited by nativetexan; 04-25-2018 at 04:31 PM. 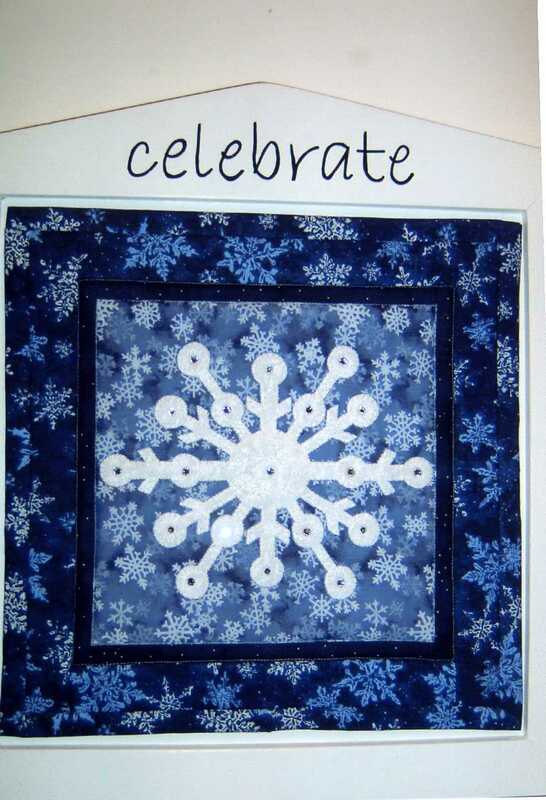 The best gift I ever gave my mom was a 12" quilt block, sent every month for a year, with the theme being the season or holiday (ie: Snowflake for Jan, hearts for Feb., etc) My husband made a plaque that I painted white and wrote with a Sharpie paint pen: Celebrate. Ea. quilt was attached with Velcro, but you could buy one of those wire hangers if you don't have a source for a plaque. She so looked forward to a new package every month! Great ideas, everybody. I'm impressed that someone is planning ahead for Christmas. Great idea. I made my DIL the kitchen towels that fasten on the oven handle or cupboard knob. I picked up some nice hand towels from the $ store and the square hot pads that had the loop. I sewed the towel to the center of the hotpads and added a button to go through the loop to fasten. She uses them on the knob by the kitchen sink all the time and I will be making her a new set this Chrustmas.